Children, toys, and teaching aid posters fill a regular house located in Hlaing Thar Yar Township (Yangon), home to hundreds of thousands of residents, many of whom are migrants in search of a livelihood in Yangon. 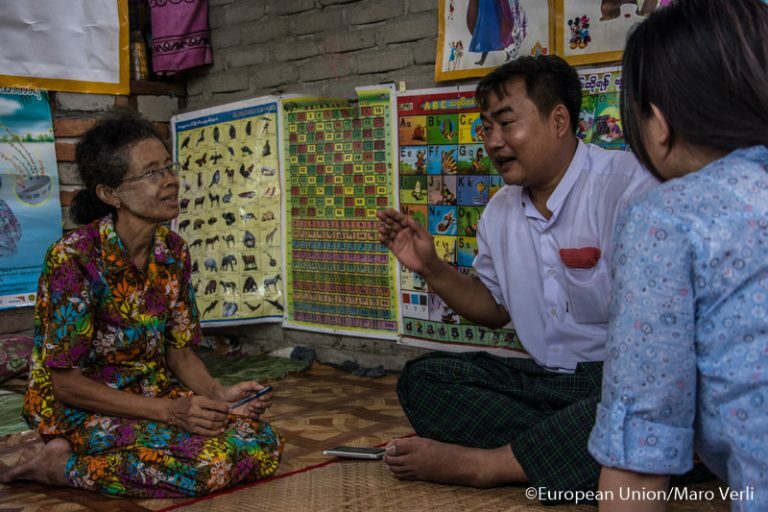 Here, seventy year old Daw Myint Yee runs a nursery for twenty-eight children with her daughters, who have been certified by the Department of Social Welfare, Ministry of Social Welfare, Relief and Resettlement (MSWRR). 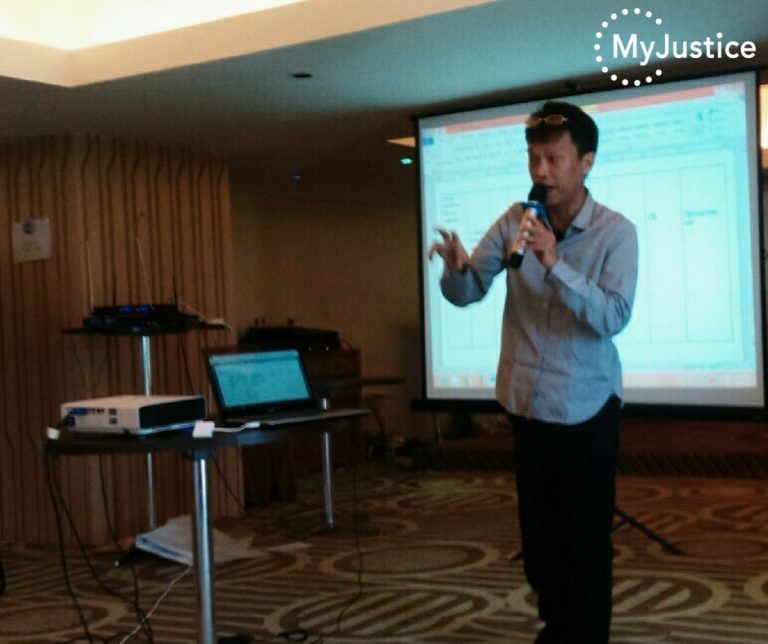 On March 14, MyJustice hosted a discussion on logical frameworks and Monitoring, Evaluation and Learning (MEL) plans of its Civil Society Organization partners at Esperado Hotel in Yangon. 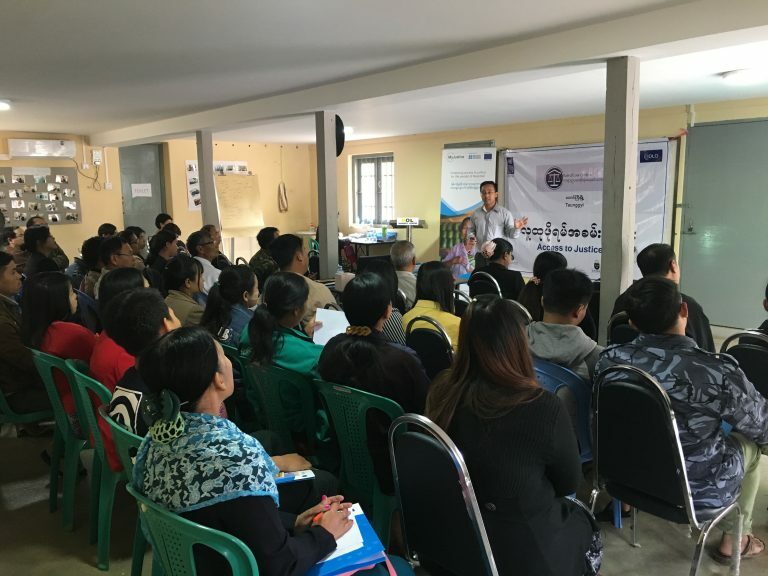 On March 8, 2017, MyJustice and the Rule of Law Centre Taunggyi jointly hosted a Community Forum on Access to Justice. 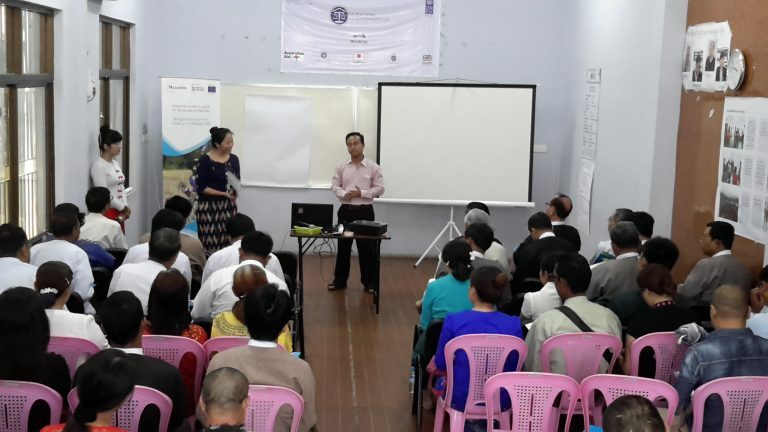 More than 50 people attended the event, representing local civil society organisations and networks, government agencies including the Advocate General’s office and Myanmar Police Force, and members of the local legal profession including the Shan State Bar Association.